You are here: Home / Pets / Today is National Dog Biscuit Day! WILL MY DOG LIKE THEM? My family and I take steps to snack smart throughout the day and I didn’t want to leave Murphy out. So I went on the hunt for a dog treat with the best ingredients, such as real meat and vegetables that would support my dog’s eating habits. Milk–Bone Farmer’s Medley dog biscuits are a great choice—and our dog loves them too! DOES THIS TREAT HAVE QUALITY INGREDIENTS? Milk–Bone‘s Farmer’s Medley treats contain simple ingredients, so I can rest assured that we are giving the best product to our dog. The treats are made with real US-sourced beef, chicken, turkey, or lamb and vegetables. And I am excited about the grain-free options (though Murphy loves the whole-grain treats too)! I feel good about feeding these biscuits to my dog everyday. Many quality dog treats can be pricey and can have you guessing if your choice was worth the big bucks. 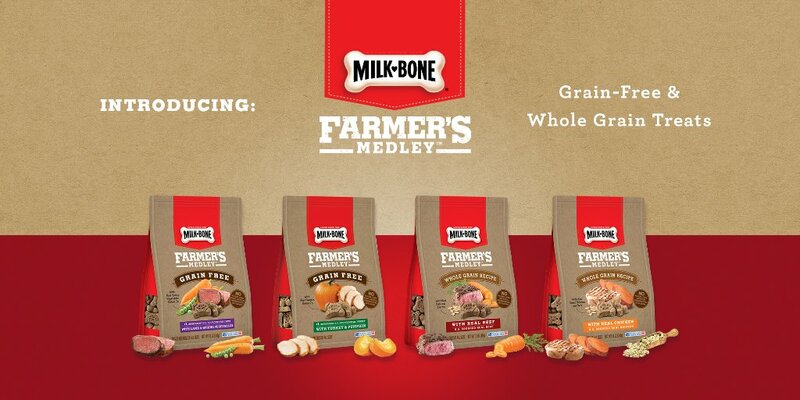 Milk–Bone Farmer’s Medley dog treats provide the same quality ingredients found in premium dog biscuits, but at an affordable price. So you don’t have to worry about breaking the bank by spending a lot on premium treat options for your dog. Milk Bone was also kind enough to send over some fun goodies for Murphy. Don’t really think he was feeling the handkerchief but I made him at least try it on once…LOL! And going to give the green Frisbee to my neighbor Pluto who is much large dog. I think if I throw the Frisbee at my dog I’d give him a concussion! 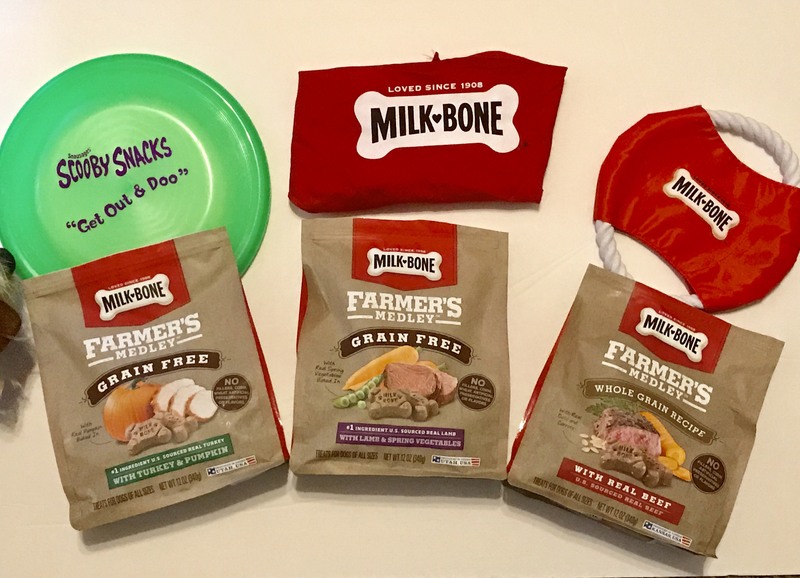 If you haven’t tried Milk–Bone‘s Farmer’s Medley dog biscuits yet, National Dog Biscuit Day (February 23) is the perfect day to do so. I would love to hear your own reason for choosing treats for your dog in the comments below. 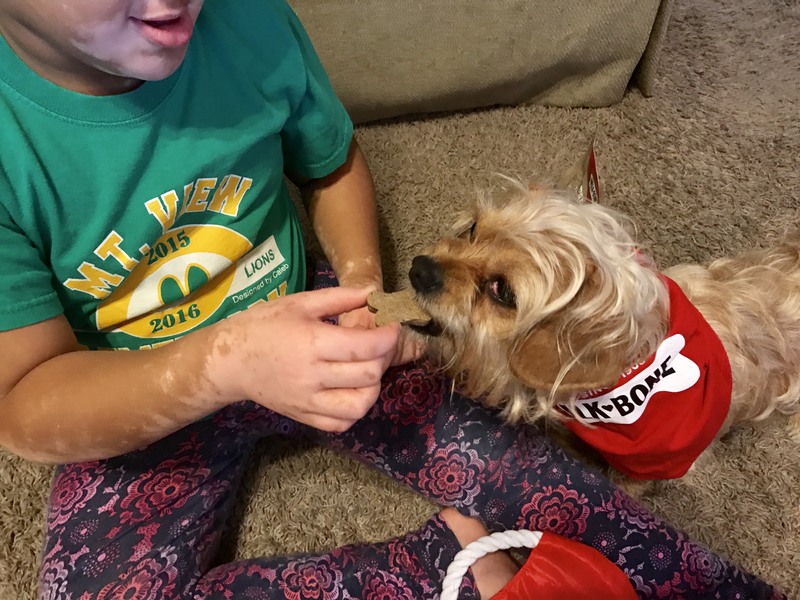 To learn more about treats (and where you can find them near you), head over to Milk–Bone Farmer’s Medley dog treats .